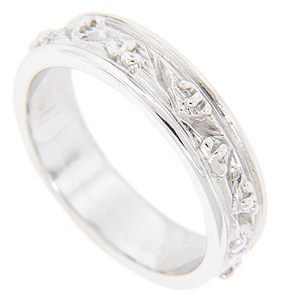 This 14K white gold, antique style wedding band has fluid flowers and leaves that wind around the band. The texture is lovely. It is 5mm wide. Size: 6 1/2. Cannot be re-sized. We can reorder in your size.